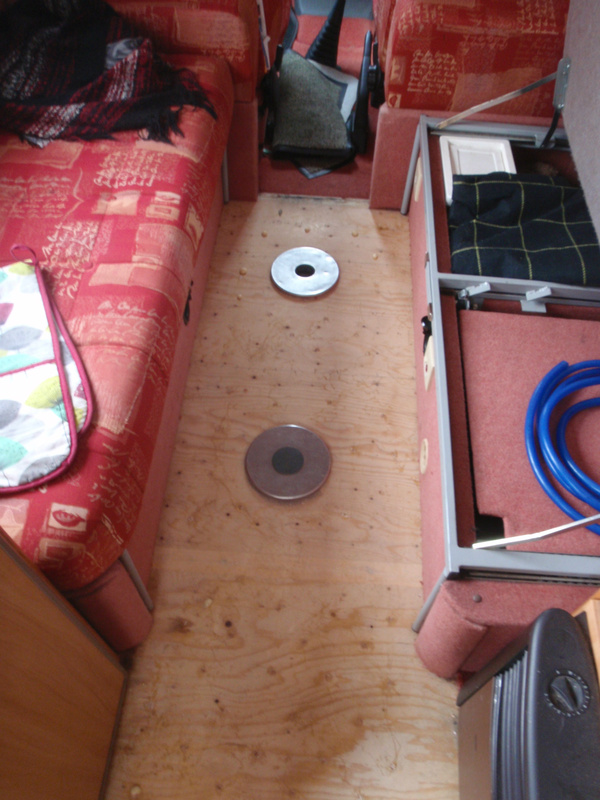 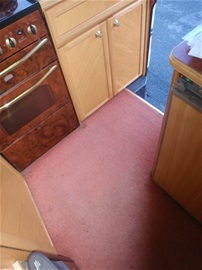 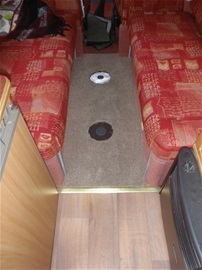 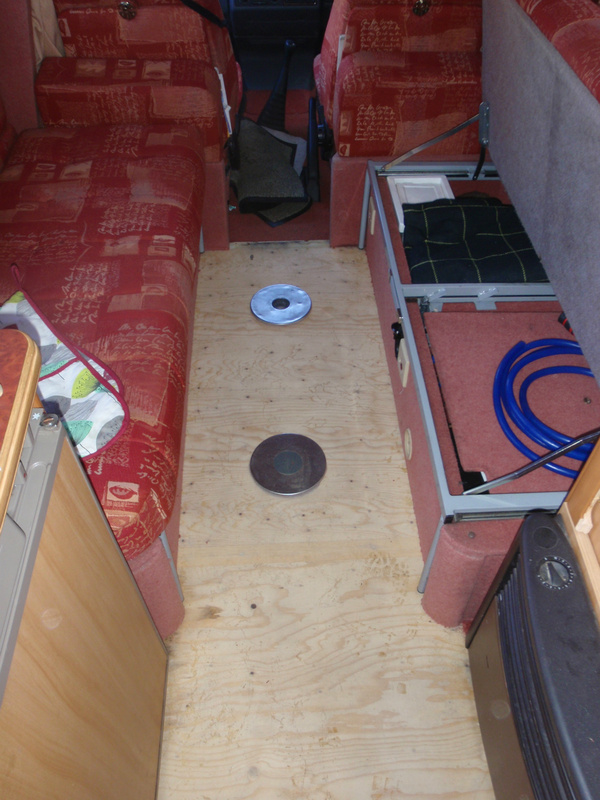 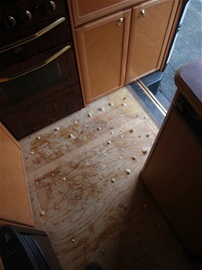 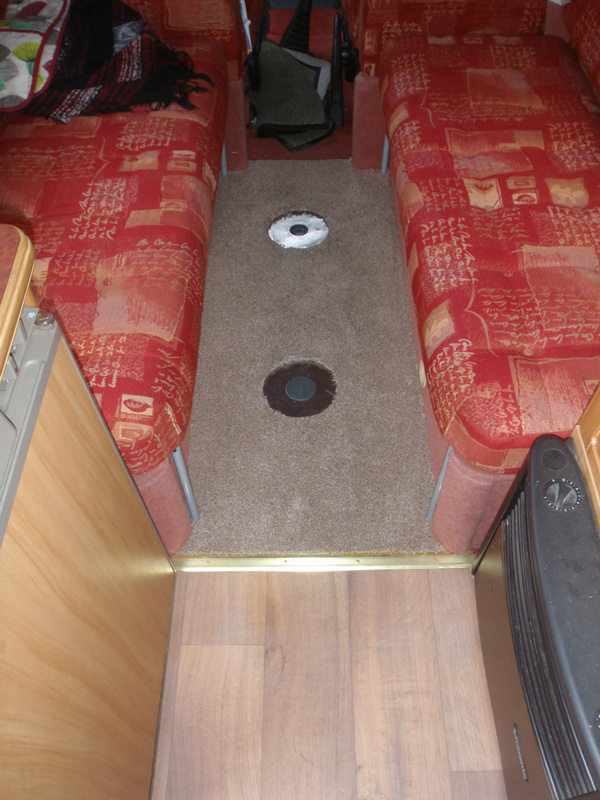 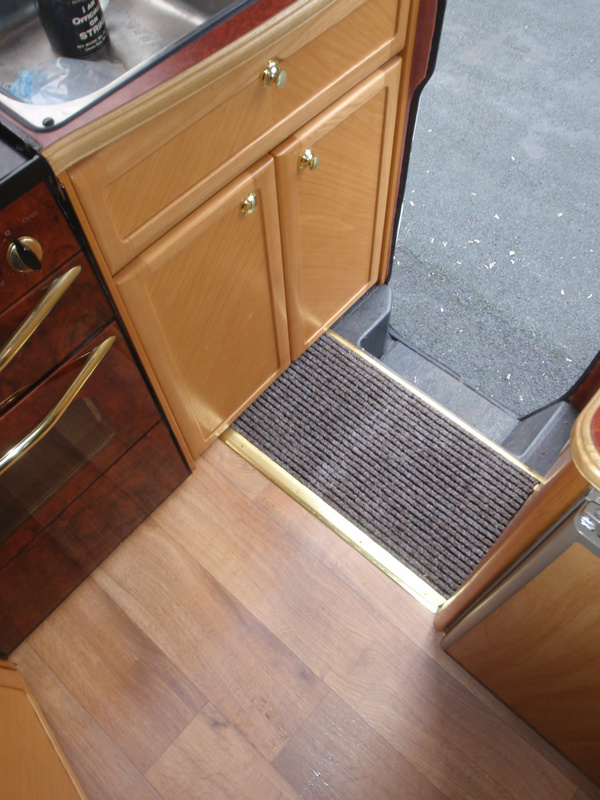 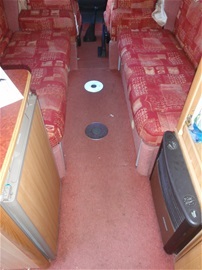 The owner of this motorhome reported that the floor around the entrance and kitchen area was spongy. Once work started it was noted that most of the floor needed attention. 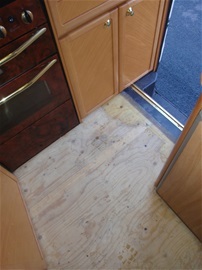 The owner also asked for a little face lift on the old carpet. 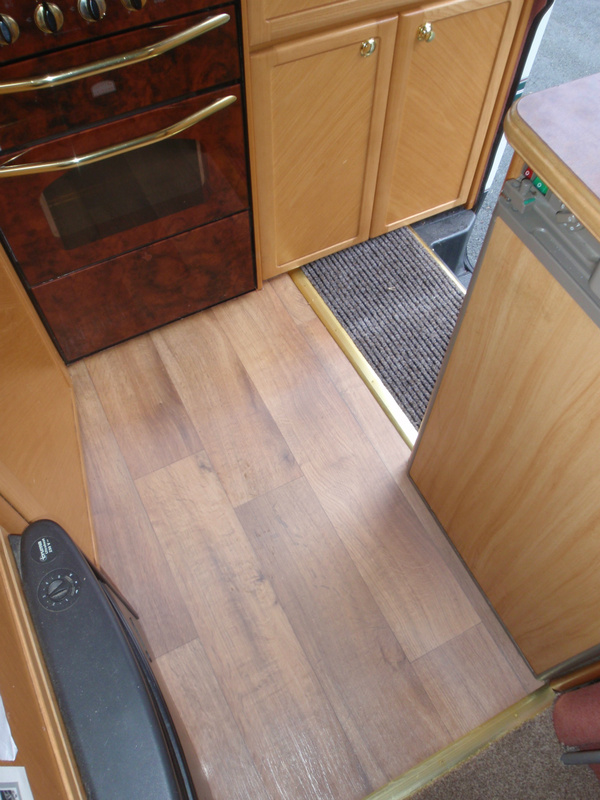 The seating area had new carpet fitted but the kitchen area was the fitted with a vinyl covering and an intergrated door mat was also fitted.